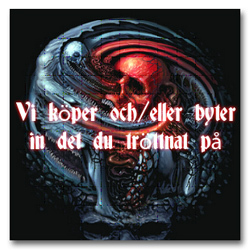 Mini cd replica of the debut single from Desolation Angel. It features the same tracks like on the original single. Official reissue authorized by the band in a limited run of 500 copies only. 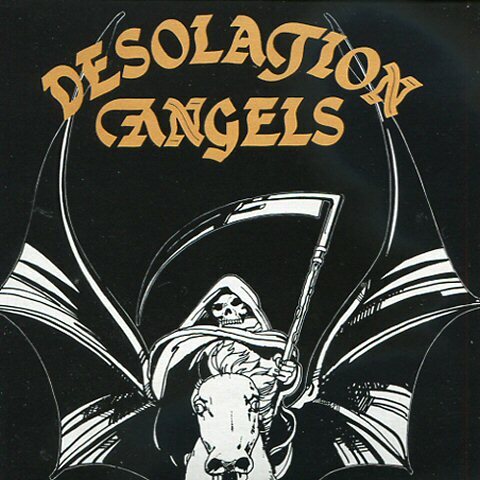 Desolation Angels was an English metal band founded in 1981 by vocalist Dave Wall who took the name Desolation Angels from the Bad Company album — not the Kerouac novel. 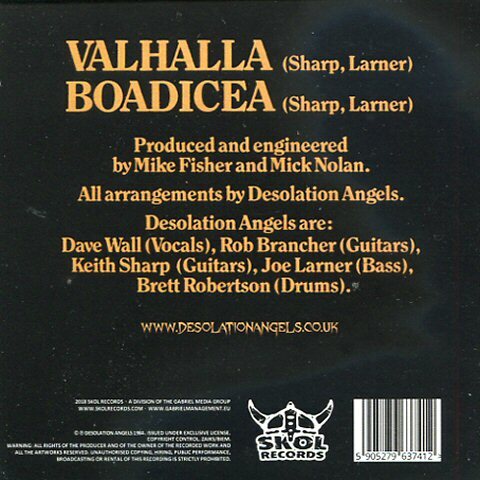 They struggled to find the right drummer so the line-up wasnt complete until 1983, which meant they missed out the hugely successful NWOBHM period, when they recorded and released the self-financed Valhalla single. By this time, the group had nevertheless established itself as a solid club draw throughout London’s East End, often playing alongside other late arrivals to the New Wave of British Heavy Metal such as Chariot and Elixir. They’d also gained the support of independent Bullet Records, but the same unfortunately went bankrupt in early 1985, on the eve of releasing the band’s eponymous debut. This would eventually see the light of day a year later (through another independent label, Thameside).